I’ve just finished reading a history of the Plantagenet kings. Even though I am fascinated by the late Middle Ages, it’s now apparent that I am woefully ignorant about the history of our islands during this time. This book by Dan Jones has given me a better understanding of the politics and personalities involved. These are remarkable stories of power, tyranny, conquest, betrayal and ignominious defeat. A constant theme throughout this period is the struggle by the nobility to exert control over volatile kings, starting with the Magna Carta and leading in due course to a whole body of laws and ordinances designed to place limits on authoritarian rule. What strikes me most is that the greatest of these kings were often the nastiest. Henry II, Edward I and Edward III visited quite incredible levels of violence on their neighbours: the Welsh, the Scots and the Irish. It’s interesting to me why history calls them great, given the extraordinary amount of bloodshed and cruelty involved. Perhaps it’s because people see greatness in those rulers who go to great ends to protect their realms and defeat their enemies. England’s great nemesis was France, so to guarantee peace, the neighboring realms needed to be brought under military control using all means necessary. When people felt fearful and insecure, they didn’t want a ‘good king’. They wanted a tyrant. To me, this is a lesson for the current times: given the right circumstances, great power is achievable, if you only sow fear. Make people frightened. Find an enemy and tell them how degenerate and evil they are. Paint a picture of woe and downfall lest the enemy win. Tell them they will soon win unless you are put in a position to protect them. Ergo Putin, Orban and Erdogan. Ergo Donald Trump. Tyrannical, hateful, dangerous, megalomaniacal- and wildly popular in their own countries. It’s not really because their supporters are ignorant or racist – though some surely are – it’s because they are fearful. The English Planagenet kings knew this, and so too do the presumptive dictators of today. The right circumstances – a widespread feeling of insecurity and gnawing despair – exists in Russia, Turkey, America and parts of Europe, and so these people are greeted with open arms. We’re not so far from the people of the Middle Ages as we might think. Seven things most people don’t know about me. I’ve been nominated by Belana and Quinie to list 7 things most people don’t know about me. Gosh – this is a tough one. Rummaging through the trash of my memories and proclivities, it’s quite a challenge to come up with one thing, let alone seven. Anyhoo, here goes. 1) I hate parsnips. Hate, hate, hate. I’ve never liked them. As a child I also hated mushrooms, carrots and pickled beetroot, but I managed to control my disgust mechanisms. I will eat them without any concerns that I might be poisoned. But parsnips? NEVER. 2) I’m not much of a music fan, but I have a wide range of musical tastes. My music collection is full of songs that I have gleaned from Shazam and Internet radio stations. It’s mixture of samba, rap, female vocals, country and classical. Recent downloads include Missy Elliot, The Chemical Brothers, Florence and the Machine and Miserere Mei. Random as hell. 3) History is my thing, these days. I’m currently reading about the Battle of Waterloo. Other books in my collection include an abridged history of Russia, an abridged history of World War I, the story of Europe after World War II and Jesus Interrupted by Bart Ehrman. 4) I don’t do enough reading these days, so I often listen to podcasts on my way to work. My favourite podcasts are This American Life, The Skeptics’ Guide to the Universe and 99% Invisible. I also listen to the BBC History Extra podcast and RTE’s history podcast. Not Dan Carlin though. Man, you need lots of time for that. 5) For years I was involved with H2G2, a crazy yet fascinating online community loosely associated with Douglas Adams. My moniker is/was Woodpigeon. I wrote around 30 guide entries on all sorts of random subjects. I drifted away after a while, when real life got in the way and social media came of age. It was fun and I made a lot of great friends, but what a time sink. 6) Ok, this is going to sound hugely nerdy, but I’d love to have the time to properly figure out the mechanics of solid objects. I’d love to be able to develop my own simple physics engine, and understand the principles behind it, where two dimensional objects rotate and move around subject to various different forces and impacts. I’m almost embarrassed telling you that one. 7) Have I changed my mind recently about something I once strongly believed? Yes, actually. I used to be a fervent believer in the Myers Briggs Type Indicator test – you know, ESTP and INTJ etc. Well, it turns out that it’s complete bunkum. Neither Myers nor Briggs had much of a basis for the underlying philosophy of the MBTI and there are much sounder tests of personality around. That’s seven things. You can wake up now! Over the past few years, I have developed a habit of skepticism, which perhaps could be described as the careful use of critical thinking in the face of extraordinary, supernatural or highly unusual claims. So, if I hear someone talking about healing crystals or angels or UFO’s or homeopathic cures or divine miracles, my immediate reaction nowadays is disbelief. Skepticism is not something that comes naturally to me. I have a relatively trusting nature, so for me, skepticism is hard work. I’d love to believe – I really would – it’s just that alarm bells go off in my head which can sometimes make for awkward situations in otherwise polite company. So, when I hear about people using the phrase “at first I was skeptical, but..” in the context of “witnessing” something such as a UFO or a miracle cure or some other such nonsense, it’s become clear to me that these people doesn’t know the first thing about proper skepticism. Most people simply don’t realise the extent to which they can be manipulated or deceived by false arguments, hidden prejudices, partial evidence and statistical anomalies. My journey into skepticism has been a long, but highly rewarding journey. In my teens, I read Martin Gardner’s “Fads and Fallacies“, which presented the other side of Homeopathy, Biorythms, UFO claims and Scientology. Much later on, I read Carl Sagan’s “Demon Haunted World” and his “baloney detector kit”. Around the same time, I came across James Randi’s website with his million dollar challenge. I developed a keen interest in identifying logical fallacies and exposing urban legends using Snopes.com. More recently, I have become a keen subscriber to Brian Dunning’s Skeptoid and the superb “Skeptics’ Guide to the Universe” podcasts. In the light of a media culture that seems to thrive on feeding mistaken notions rather than challenging them; in the light of a world where sophisticated marketing techniques are employed by all manner of cults and fringe groups; and in the light of multi-million industries peddling all manner of snake-oil cures, maybe it’s not too late to bolster our skeptical abilities. I would recommend the above books, websites and podcasts if you are interested in learning more. It’s been some time since I’ve written about particularly good books for small kids, and I must apologise (especially to Kim) for being somewhat remiss in this area during the last few months. For me, there is something very gratifying about sharing a compelling book with my kids. It quickly brings me back to my own childhood years by helping me relate to my children on their level. This book ticks all these boxes. In this book, a young queen and her best friend do battle with the arrogant Sergeant Rock-Hard of Her Majesty’s Guard as he leads them through the castle in an effort to convince them that there’s no such thing as a ghostie. Little does he know… It’s full of delightfully poetic snippets: a Prime Minister that bears more than a passing resemblance to a certain 1980’s British PM; regular alliteration – “ghostly, ghastly feet”, “creepy, creaky staircase”, very accessible colourful drawings, and (of course) plenty of ghosties hanging around in the background. Near the end of the book, the reader is enjoined to open a trunk bearing an alarming secret. It’s one of those books in which you and your kids discover something new every time you re-read it for them. If you know of other children’s books that really deserve a read, please let me know. I’ve just finished a reading a book called “Crucial Conversations“. I’m not a big fan of self-help books, but this one did provide quite a number of useful and practical insights. Crucial conversations refer to those conversations we have – with family members, friends, work colleagues, bosses, anyone – that have a high potential to end in acrimony and bitterness. A number of concepts jumped out at me, but I’ll mention just two: safety and stories. A core message of the book is that progress can only happen when people are in dialogue with each other. When one or more parties feel threatened, dialogue ceases immediately. Threatened people usually adopt one of two modes of behaviour – a mental withdrawal from the conversation (silence) or some sort of verbal attack (violence). Both responses are easily recognised and when they occur, further progress is impossible. A sense of safety must be reinstated first of all. People have to feel safe to continue in dialogue. If you are holding a discussion with someone and the other person’s expressions or actions indicate a strong degree of insecurity, then you need to restore safety before you can proceed. When people display aggressive or passive aggressive behaviours, what we are seeing is the end result of a process: usually initiated by a factual occurrence, then by a story used to interpret these facts, then by emotion, and finally a response. The story is the most critical piece in this process. It is the amplifier that takes a tiny signal of information (often mis-information), and turns it instantly into a blisteringly hot, out of control, current. Because different people can display a wide range of responses to the same occurrence, the conclusion must be that very often, stories are just that: works of fiction. Merely saying to oneself “this may be a story” when getting riled up is sometimes enough to blunt the edge off one’s anger. Distinguishing facts from the stories that result, helps to ease pent-up emotions. Sure, sure, there are books and then there’s the real world. I’m not expecting any hugely dramatic changes in my behaviour overnight, but I have to say the book has given me a lot of room for thought. Already I have tried to use some of these skills during interactions with my kids, while also observing more carefully how other people manage potentially difficult conversations. Some time ago, I wrote about five books for small children that my kids and I absolutely love. I now would like to add another book to this list. Oh no! We forgot to shut the door! The premise of the book is quite simple. A dad brings his three kids into the countryside with the aim of finding a bear. The group are totally unprepared for what lies ahead as they clamber past all sorts of obstacles during their quest. (I can relate very much to the dad in this book). Much to their surprise, they find a bear, and what follows is an exiting race back home with the grizzly on their tail. It’s got everything: repetition, actions, fear and humour. The drawings are superb, particularly as the kids reach the entrance to the cave. I was amazed by how quickly my toddler kids picked up the narrative and were able to recite the whole story verbatim. 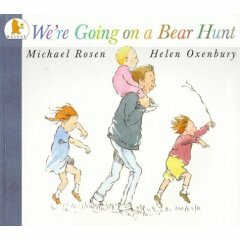 Here’s an additional treat: in the following video, Michael Rosen himself plays out the tale. It’s interesting to watch as I use a very different style when reading the story to my kids. If you know of other small children’s books that really deserve a read, please let me know. One of the great things about being a parent is that every evening I get a chance to read night-time stories to young children. These books vary greatly in quality. 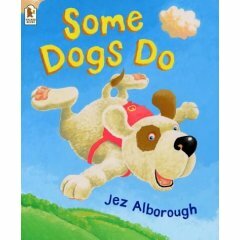 Many children’s books (particularly the ones with toys and teddy-bears on the cover) are insipid, formulaic, manufactured and quite forgettable . Kids get bored by them just as much as we grown ups do. However there are some books that I still love reading to my younger ones whenever I get a chance. This extremely well-illustrated book recounts the adventures of a clever little mouse, beset on all sides by predators, and how he manages to outwit them all. The book is written in a gentle, rhythmic verse that is a pleasure to read out loud. Three quite similar stories are recounted before the plot twists and the mouse is confronted with the monster of his nightmares. What happens after this is an act of genius on the part of the mouse. 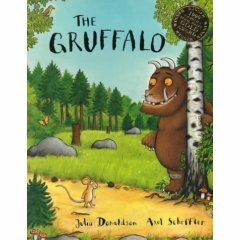 I always shout out the Gruffalo’s lines in a very angry gruff voice – my kids love it. This is a rhyming story about a small dog named Sid who discovers one day that he can fly. When he tries to tell his friends in school, nobody will believe him. The miserable pup is comforted by his parents, who let him into a secret. I particularly like the drawings of Sid’s face – the faraway stare – when he is confronted by opposition on all sides. It’s a captivating, delightful tale that the kids want me to read again and again. “That Sam-I-Am, That Sam-I-Am! I do not like that Sam-I-Am”! No list of good children’s books would be complete without a title from Dr. Seuss. 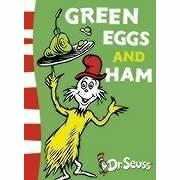 This story tells the tale of a grown-up creature who is pestered by the much smaller and younger Sam into eating a seemingly disgusting meal of green eggs and ham. Despite his protestations, Sam never gives in and finally the adult takes a bite. The whole tale is a reversal of the usual story where an adult is forcing a child to eat something that the kid doesn’t like the look of. Like many of the tales here, the story is recursive, repetitive, rhythmic and rhyming. Soon the child will be reciting the tale along with you. 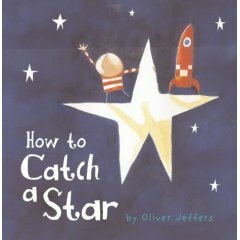 This story concerns a small boy who wants to catch a star from the sky so that they can be friends and have fun together. He tries reaching for it and climbing trees to get it, but to no avail. Eventually he is drawn to the sea-shore where he finds what he is looking for. 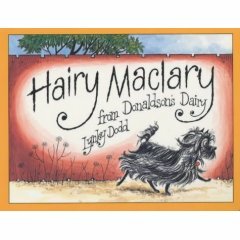 This is a wonderfully creative tale that talks volumes about the ways small children see the world. The simple cartoons that complement the story genuinely add to the tale. As an adult you can’t but help feeling for the little boy as he tries to understand a mystery of life. What makes these books special? All of these stories are quite similar in that they blend poetry, colour, artistic detail and repetition into a coherent whole. All of the storys take about 3 to 5 minutes to recite. Neither are they “fluffy”: They grapple with quite deep topics concerning relations with adults, friendship, fear, disappointment and making sense of the world. If you are a parent of young kids or are wondering what to give your young niece or nephew for their next birthday, I would wholeheartedly recommend all five titles. Do you know of any other children’s books that you would add to this list? Now this book is quite amazing. I had heard about it some weeks ago, so I made a special point of attempting to find it when I went shopping in the US. Anderson’s central thesis is this: with the introduction of the internet and new ways of working we now live in a time of abundance and practically infinite choice. And as a result, the rules completely change. No longer are we constrained to think in terms of “hits” or “blockbusters” or “top selling brands”. We can now buy anything we like, and it’s available for us to do so in just a few seconds of clicking or calling someone. And, what’s more, it’s happening all around us today. What fascinates me most is how it seems to overturn one of the most powerful “laws” of doing business. A long-standing rule of business is the Pareto Principle, commonly known as the 80:20 Rule. Put simply, it means that, to make money, companies should only concentrate on their highest selling products or services. The slow movers and niche items are too expensive to store, and so they should be ruthlessly excised. The result, if you haven’t already seen it around you, is uniformity, blandness, lowest-common denominators and a staggering lack of choice. These days are coming to an end. 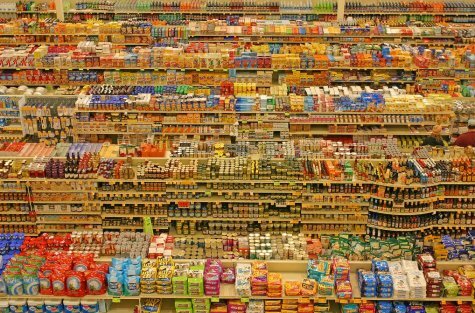 The Long Tail hypothesis says that the action in the future will be in the lower selling categories. People are increasingly seeking out those things that they want to buy – the niche music tracks or clothes, the arty Spanish films, the British comics from the 1980’s. Whatever you are in to, you can find it quickly and buy it for a cheap price, thanks to Ebay, Google, Amazon and a host of smaller sites and blogs. The Long Tail idea says that hits will decline in importance as interest in niches grows and grows and grows. This is nothing short of a crisis for traditional big media organisations, whose job it has been for a century to sell a consistent message to as many people as possible. Now, with the explosion of new channels of communication, people are turning off their radios and TV sets, reading blogs instead of newspapers, downloading indie music instead of going to the record store, ordering customised T-shirts, footwear and jewelery over the web instead of accepting the limited offerings in the local shop. The message, loud and clear, is “Blandness and Hobson’s choices? No thanks”. Mega celebrities, big-name TV shows, best-selling newspapers, hit pop bands, blockbuster movies: all are beginning to show significant drops in their market-worth and the trend is getting more pronounced with each year. The world of mass communications is splintering into a million pieces, and no-body seems to be able to put this Humpty Dumpty together again. Does this mean that the age of the hit is well and truly over? Of course not. Just look at the recent global racism furore on Celebrity Big Brother for instance. However hits will possibly be more random in the future – arising from anywhere, and disappearing back into obscurity once their time in the spotlight has passed. It’s likely that hits will be much harder to achieve, and more limited in their impact. Marketing’s problem will be in getting their message out to a truly fractionalised audience, with no-one consumer quite using the same channels of communication. Over the past week I was away in Chicago. I had a fairly quiet time there, so during that period I was able to catch up on some reading. First of all, I finished reading “The Tipping Point” by Malcolm Gladwell. This is a great read – very interesting stuff. His central thesis is that social changes (business trends, fads, crime rates and other memes) tend to behave in a manner somewhat similar to epidemics – often there is little progress followed by a sudden exponential jump – the idea catches fire, as it were. According to Gladwell, three factors are needed – the right people, the right messages and the right environment. What makes the book exceptionally interesting are the case studies used: everything from crimes on the New York subway to Sesame Street to the sales of footwear. It’s packed full of interesting tales: the bit on the 150 rule was fascinating. Essentially the idea behind this is that no social or business unit should be bigger than 150 people. Go beyond this number and you lose control. The manufacturers of GoreTex are cited as a good example of this. They build a new factory and restructure once the population of any of their units goes beyond the 150 mark. Radical stuff indeed. If I had any reservations it is with the first area – finding those elusive “right people” who will seed the epidemic, as it were. These right people, known as Connectors, Mavens and Salespeople, are required to guarantee success. While I accept that there are people around with such exceptional skills, I wonder how common they are in practice. There is something super-human about it which doesn’t quite ring true. It all seems a little too simple – too packaged. A well working team would seem to me to work just as well, if not better. The book Freakonomics challenges his assertion that small changes, on the margin, resulted in a sudden drop in the New York crime rate. It’s a debate that will go on for a while, I imagine. So, I now know a bit more about “stickiness”,the dynamics of cigarette smoking, Paul Revere’s ride and the influence of peers. It’s an enjoyable read and highly “sticky” in itself, but nevertheless I have a few misgivings. My next review is coming up soon. This is a wonderful read. It’s got everything – friendship, betrayal, shame, honour, bravery, hatred, grief and redemption – the whole gamut of human experience. The story revolves around the central character’s two most important relationships – his father and his best friend, set against the backdrop of the troubles in Afghanistan. Saying any more about the plot might lessen your enjoyment of the book, so I will refrain from doing so! Parts of the book are painful to read. It’s not a story for those who want an easy time from their novels. The author does not spare his readers from the more disturbing aspects of human life particularly in the context of war and unheaval – the casual cruelty, the killing of innocence, the sickness of fanaticism. However, for readers looking for depth and complexity in their characters, you cannot easily find a better example. Although a grotesque villain is brought to life in the novel in the guise of Assef, betrayal and cowardice are present in the book’s central figures. In fact, it’s this betrayal and cowardice that forms a central theme in the book, making it such a fascinating read. A strong emotional bond with Afghanistan is painted in the book. Afghan people are portrayed as proud, generous, talkative but sometimes hypocritical and stubborn. I noted strong parallels with the Irish way of life, or at least a way of life that used to exist in Ireland, but now, perhaps, is in rapid decline. When all is said, there is a gripping story to tell here. The denouements in the text are wonderful – I frequently found myself gasping as the plot twisted, sometimes in the most surprising of ways. I absolutely loved the book and would gladly recommend others to read it.